Season Pass equivalent, grants 8 new characters. Included with FighterZ Pass/Edition and above. See Steam Controller button prompts. Online functionality might be affected. Play offline to prevent the risk of an account ban. Create a shortcut to RED-Win64-Shipping.exe. Add -eac-nop-loaded as a command line argument to the shortcut. Be sure to have Steam running when using the shortcut, as otherwise an "Unable to initialize SteamAPI" error will be given. Easy Anti-cheat See Disable EasyAntiCheat. 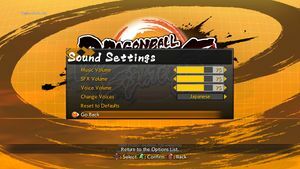 For simplicity and ease-of-use, it is recommended that you use DBFZ Mod Manager before acquiring and installing mods. A very simple tool that allows you to install mods by dragging and dropping them into the utility. Includes built-in 'one-click-install' functionality via GameBanana which allows you to install mods from the website. Requires a free GameBanana account to set up. You should disable EasyAntiCheat before installing any mods. You can do this through DBFZ Mod Manager too. Make a copy of the game's original executable before doing anything. Useful in case you have issues after patching the game through the mod manager. The game must be patched via the mod manager before mods will function. This patch needs to be reapplied after each subsequent update released for the game. 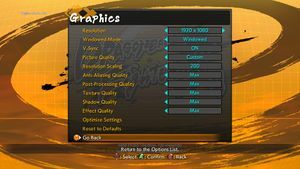 Best used intandem with the DBFZ Mod Manager utility. A powerful tool that can create a custom music mod replacing partially, specifically, or the entire original soundtrack. Audio conversion may be required; the sound files added to the program must be of the .OGG file format. The file size of each desired song must be equal to or smaller than the song it replaces, which will vary for each song. The tool will notify you the file size limitation for each song upon selection. Replaces the default button prompts with PlayStation/DualShock 4 button prompts. Replaces the default button prompts with Steam Controller button prompts. Replaces the default button prompts with button prompts based on Nintendo's controllers. ↑ 1.0 1.1 File/folder structure within this directory reflects the path(s) listed for Windows and/or Steam game data (use Wine regedit to access Windows registry paths). Games with Steam Cloud support may store data in ~/.steam/steam/userdata/<user-id>/678950/ in addition to or instead of this directory. The app ID (678950) may differ in some cases. Treat backslashes as forward slashes. See the glossary page for details. 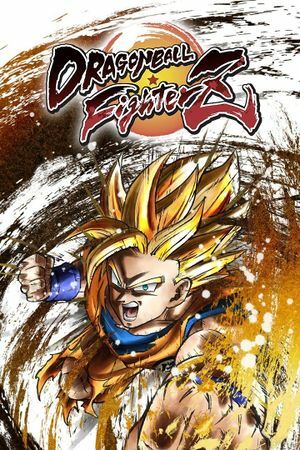 ↑ DRAGON BALL FighterZ EULA.